We are wrapping up another great tour with a tremendous group. Here is another B&W image from the dunes. I could shoot the dunes for a week straight, I’m addicted. The endless sea of sand… Infinite possibilities and ever changing! Great vision, perspective and post work JB! Looks like you all had another successful trip! Finally getting our much needed rain! Changing the sea of sand even more! 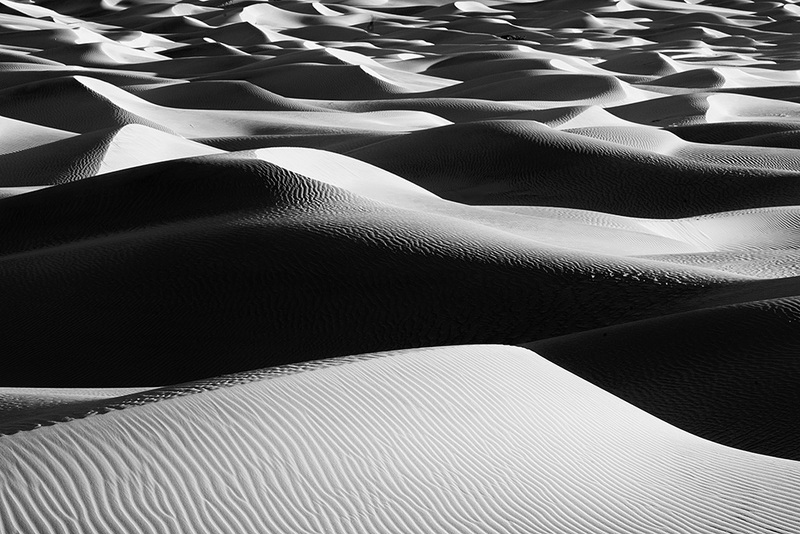 What a great trip, the dunes were excellent and the B&W conversion really rocks. Welcome home hope you enjoy this weather. Welcome home yourself Jim! Thanks for coming along.